This is a big thick winter scarf inspired by a creation I saw when I was skiing. It is made from a chunky weight yarn, worked in a K2tog, YO pattern until it is almost 7 feet long (with a width of about 8 inches all the way through). I then added tassels and knotted them together at the ends to create a different effect. 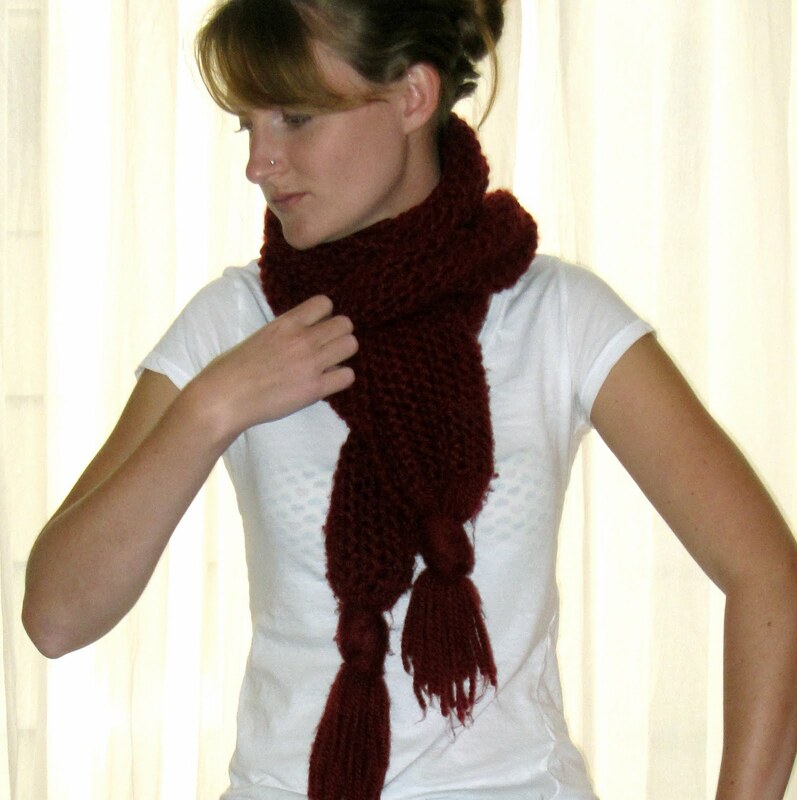 The extra length means you can wrap it around your neck several times to keep warm on even the coldest days.